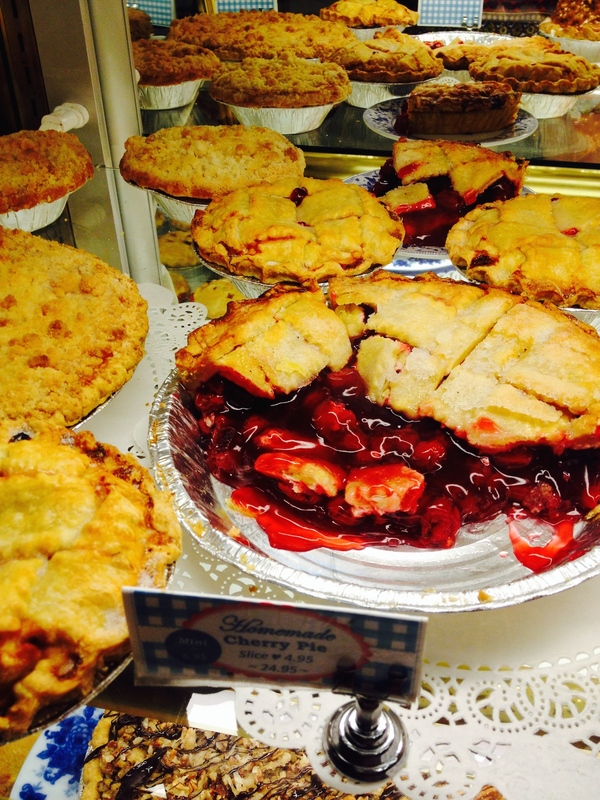 So, I have heard about these “high” pies in Wisconsin, baked in a paper bag, but didn’t think I was going to run into one on a visit to Missouri this past Memorial Weekend! 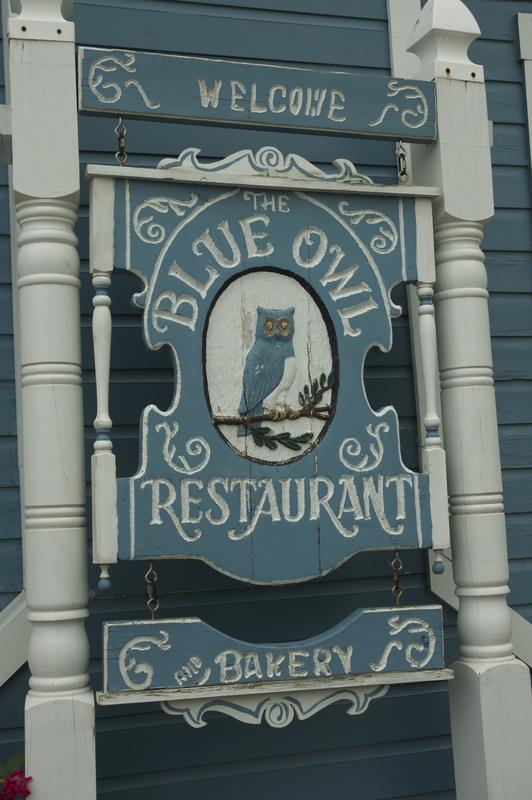 The Blue Owl Restaurant in Kimmswick, MO is just southwest of St. Louis. 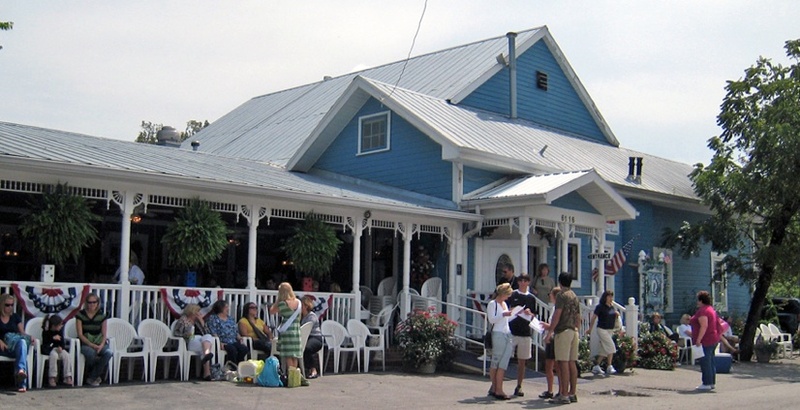 The periwinkle colored house-like restaurant with its white gingerbread molding is so inviting. The large front porch off the left side of the restaurant held lots of table for seating and looking through the large cascading flowers pots hanging that framed the porch, all the tables were taken, but we managed to have perfect timing as one of the tables became available for five. 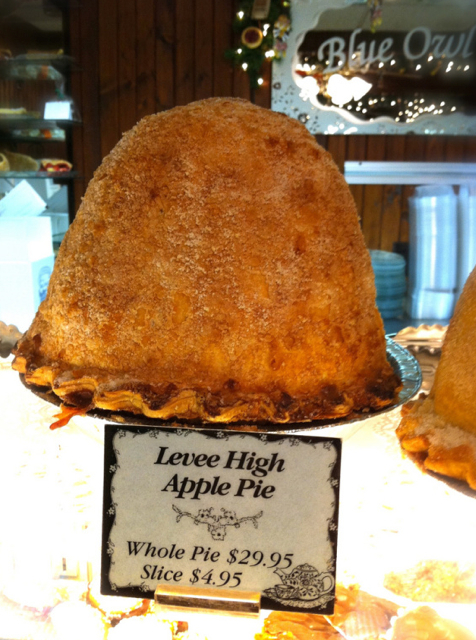 Waiters and waitress continuously swooshed by with huge slices of their famous Levee-High Apple Pie, named after the infamous flood in Kimmswick. Their pie is slightly decadent with a caramel coating covering the entire top of the pie then roasted pecans are sprinkled all over the top creating a gooey sweet crust. If you are in this part of southern Missouri, stop in, take a load off and enjoy the atmosphere of a this cozy little restaurant. 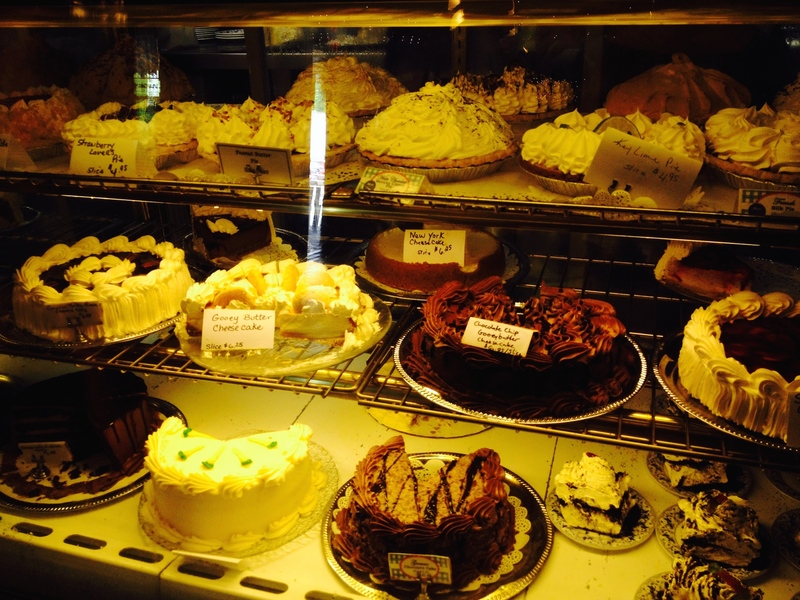 They have good home cooked meals, friendly staff and one of the most decadent apple pies you will every see. After your meal, visit the bakery/gift area and pick-up a jar of their home made apple butter. 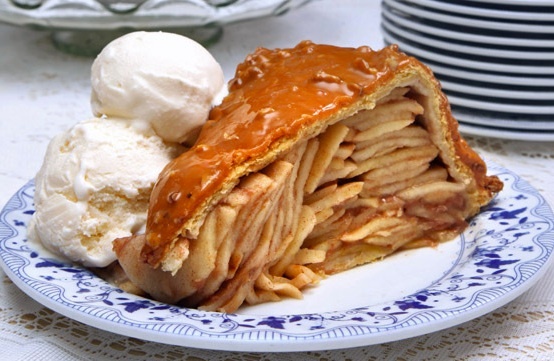 It’s perfectly sweetened with just the right amount of apple tartness. I love it. 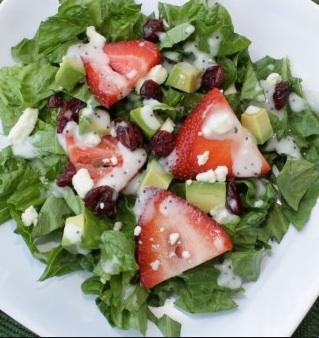 It’s low in calories and sugar than most jellies and jams, naturally. 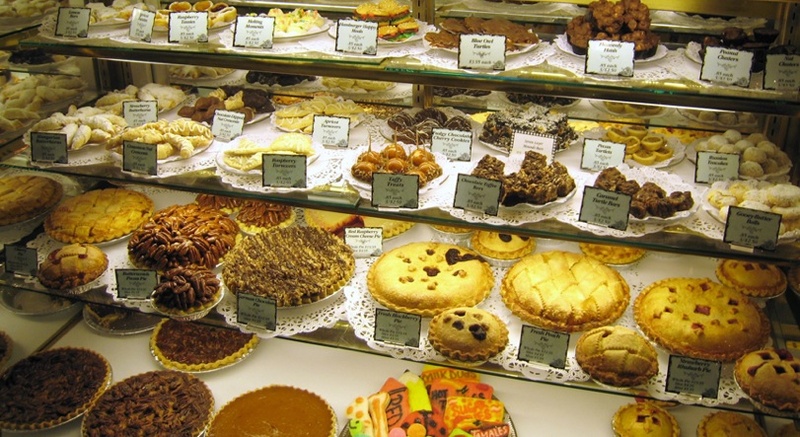 While your in bakery/gift area, take a look at the pictures on the walls, too. You’ll find few pictures of Paula Deene and her sons when they visited a few years back. The owner told me that business had “picked-up a wee bit” ever since their visit. 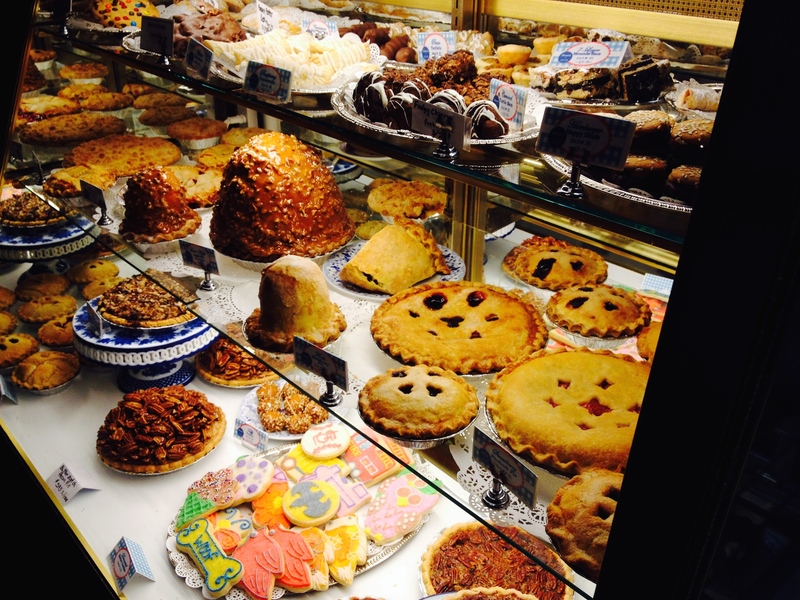 But I’m sure their popular and showy Levee-High Apple pie brings in the crowd, too. 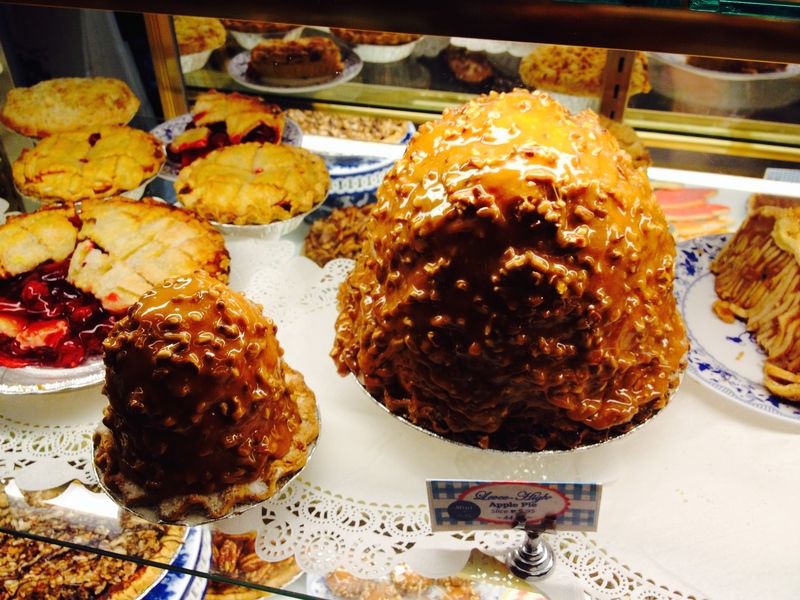 Levee High Apple Pie with Carmel and Pecan Topping – 1 slice! 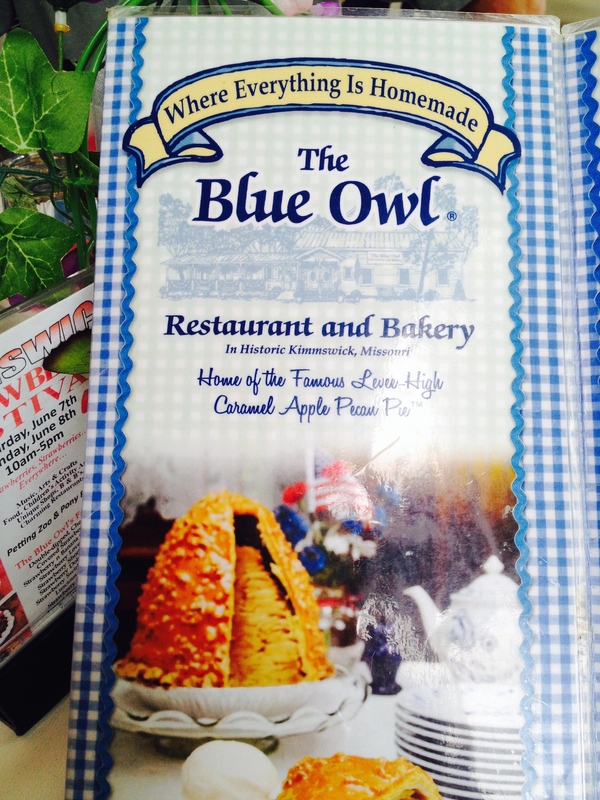 How do I order Blue Owl Apple Butter?